Less than a week later, someone attempts to murder Drayton. Confused and trying to deal with what’s happening to him, Drayton spends the next several years on the run, moving from town to town, working odd jobs, barely staying one step ahead of the Unknowns, a mysterious, powerful group who wants him dead. Unwilling to remain hidden in the shadows, Drayton cures a woman of cancer, and the Unknowns come for him again. 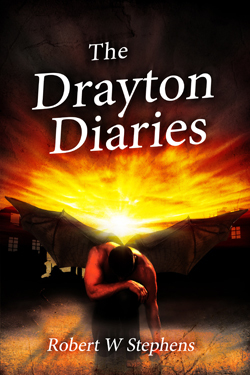 Drayton is critically wounded in the attack, and only his supernatural ability to heal himself allows his escape. A mysterious voice from the past sends Drayton on a desperate journey to the ruins of King’s Shadow, a 17th century plantation house in Virginia that was once the home of Henry King, the wealthiest and most powerful man in North America and who has now been lost to time. There, Drayton meets the beautiful archaeologist Laura Girard, who has discovered a 400-year-old manuscript in the ruins. For Drayton, this partial journal written by a slave may somehow hold the answers to his life’s mysteries. Together, Drayton and Laura desperately search for the remaining pages of the manuscript, hoping they can also survive the vicious attacks of the Unknowns. Along the way, Drayton discovers his abilities are far more remarkable than he ever imagined.